Once upon a time there was a man who went on a journey and before he left he entrusted three servants with his money. When the man returned, he praised the two servants who had doubled his money, but the third servant, who had done nothing, was thrown outside into the darkness. How do you put money to work? You invest it. Some translations say the servants traded the money. Perhaps they became money-lenders, or maybe they financed a business venture. I lived in Hong Kong, so I don’t find this hard to imagine. In Hong Kong you can smell the money working. The parable of the talents is not about how hard you work for God, but what you will do with the riches he has given to you. In the story Jesus is the man going on a journey. The wealth given to the servants represents his grace, for grace is a gift and not a wage. Jesus has entrusted you with the riches of his grace – his love, favor, and forgiveness. What will you do with his gifts? Will you invest them or scorn them? Will you put his grace to work? Or will you bury it in the ground? How do you put grace to work? God gives you grace so that you will be set free from servitude and reign in life through Jesus. How does it happen? It begins by believing that God loves you and is pleased with you. When you realize that you are your Father’s dearly-beloved child it will free you from the treadmill of dead works. You won’t exhaust yourself seeking his acceptance and approval because in Christ you already have it! When you know that he has clothed you with his righteousness, you will be free from the law that makes men slaves (Gal 4:24). How do we make grace work? By trusting in it from start to finish. As we behold the grace of God revealed in Jesus, we are transformed. We mature into who we already are in Christ, kings and priests who reign over the earth (Rev 1:6, 5:10). What about the third servant? A hard man?! His master gave him a bag of gold. For free! This was his golden ticket, a way out of servitude, but he scorned it. Needless to say, Jesus is not impressed with the third servant. He calls him wicked, lazy, and worthless, and has him thrown into the outer darkness. His reaction to the self-righteous servant echoes his reaction to the foolish virgins in the preceding parable (“I don’t know you”; Matt 25:12), and the goats in the next one (“Depart from me”; Matt 25:41). In three parables Jesus gives us three pictures of faith and unbelief. Faith is looking forward to the Lord’s return (the parable of the ten virgins), it’s receiving the wealth of his grace (the parable of the talents), and investing it in the lives of those who need it (the parable of the sheep and goats). These parables should not be read as moral lessons as in, “You’d better keep watch, get busy, and serve or else!” They are stories about Jesus and what people do with him. In the parable of the talents the faithful servants were faithful because they received the master’s gift, and the lazy servant was unfaithful because he rejected it. The faithful servants prospered because they allowed room for God’s grace to work in their lives, but the wicked servant missed out because he didn’t trust the master. In the end the third’s gift is taken away and he is sent into the outer darkness, not in punishment, but because he fears the master and has no wish to share in his happiness. Ultimately, all three servants get what they desire, and so do we. Those who want to receive the riches of God’s grace shall have it and have it in abundance. And those who prefer the solitary path of the self-made man, even though it leads to misery and darkness, shall have that too. So what is the takeaway? Take the Master’s bag of gold and spend it, trade it, invest it, do whatever you like with it, but don’t hand it back unopened and unused. Grace, like gold, is meant to be used, not left in the ground. But unlike gold, God’s grace never runs out. As you draw on his grace to buy freedom, health, deliverance, and wisdom, his grace grows, and “the one who has will be given more, and they will have an abundance” (Matt 25:29). To see his children growing and prospering in grace makes the Lord happy. It will make you happy too! In the parable of the talents the faithful servants got similar rewards, but in the parable of the minas (Luke 19) they got different rewards (cities). We’ll look at that parable in the next post. Stay tuned! thats a solid food I need time chewing. praise be to God that told me “do not be afraid” stare at the Magic eye 3D image till the picture appears. Its clear that those who reject are thrown out. its like those who didnt accept Jesus are already condemned. I will be asking an inferior question here. Isn’t this look like a shotgun wedding? sorry if this thing confused me a bit. a little light will be appreciated. THANK YOU PAUL!!! Much appreciation for that eye opening freeing explanation of the parable I’ve struggled with for years! Grace! Thank you Paul, I have been waiting for this one. I look forward to your book that includes all of the parables of Jesus, explaining how they support the gospel of grace. Have you ever read Ched Myers take on this parable? It was very helpful for me. This is glorious! Thanks so much Paul for seizing this parable back from the religious hijackers who’ve made it a bad news story. Can’t tell you the number of times I’ve heard this parable used to beat believers over the head for “not doing enough for God” or for “wasting your talent” – so hell is all you’re good for. The only thing that kind of scare-mongering would make me want to do is keep a very low profile and sign up as a labourer for the very last shift of the day so at least I get paid the same as the other “hard workers” and I won’t get thrown into the darkness. Ridiculous. Plenty of workers for God are not lovers. But I don’t think you can be a lover without investing the riches of His grace all over the place. It’s like day follows night. Paul, whenever I read these posts, I come away feeling like I’ve just washed my face with cold water after a day of sweating in the field. God is so good that He didn’t just give me a few talents or bags of gold, but ALL his wealth in his son Jesus. He left nothing on the table. Thanks Brenden, that’s a great picture. I know exactly what you mean. I have always thought the gospel was like a refreshing drink. “Like cold water to a weary soul is good news from a distant land” (Pro 25:25). i Like it,never looked at it that way. God has been showing me that we have a 2-sided covenant: it has a Heaven side, & it has an Earth side. The Heaven side is what God has done for YOU, but the Earth side is what YOU are supposed to do for HIM (He has needs, you know). ‘Going to Heaven’ is what He has already done for you- it is received strictly by accepting Jesus & nothing else. This means that the only way you can NOT ‘go to Heaven’ is by DENYING Jesus. HOWEVER- we have been bad about overlooking some important details: what you do does matter. It determines whether you get raptured or not! Grace is wonderful, but God still requires that you “bring forth fruit”- otherwise you may be ‘removed’ by the ‘Gardener’. No, this does NOT mean you’ll ‘go to Hell’- only that you won’t get raptured. Remember the parable about the virgins: ‘five wise’ (the number of grace), & ‘five foolish’ (more grace)= 2 groups of Christians. Also, they were referred to as “virgins”; I know of no place in scripture where virgins represent wicked, sinful people (Jesus was born to a virgin). Rather, virgins always represent purity & righteousness. In addition, they called Him “Lord”, & the Bible says no man calls Him “Lord”, except by the Spirit. There’s an awful lot more to this, but not enough space here. I have written extensively about this on my Facebook page- in the “notes” section. Paul Kirk, the body of Christ is diverse. For instance, I approach the Scriptures through grace, the gospel of Jesus. So I have a very clear and distinct way of seeing the Scriptures. However, I have no clue how you’re seeing them. You obviously see behaviors as having spiritual consequences for the believer, child of God. So that tells me something. But where does all this mumbo-jumbo of the Rapture as a form of punishment or reward come from? Please excuse my curt vernacular. Please believe me when I say that I do NOT want to offend anybody. However, I do need to be obedient to my Father! I didn’t say it was a form of punishment or reward- instead the Church is meant to be more of a ‘prize’. The rapture is not just a way for believers to escape from bad things here- it’s a way to provide for Jesus a ‘glorious church’ (Eph. 5:27). As I said, I’ve written extensively about this subject on Facebook (in the ‘notes’ section). All believers are not going to be raptured; you have to be READY. There are numerous warnings in scripture about this subject- in fact it’s all over the New Testament. Jesus warned that you should ‘pray that you will be counted worthy to escape these things’ (Luke 21:36). Paul said you should ‘work out your own salvation with fear & trembling’ (Philippians 2:12), etc. It only means that if your heart is tender (befitting a glorious church), you have nothing to worry about. Grace is indeed true, but just ‘going to Heaven’ is not all there is. God loves His people- yes- but a promise is still a promise. Too many people have stated that “all the prophecies have been fulfilled”, & that is NOT true. God has saved the best for last. If you want to serve your Father’s purposes in these last days, you have to be READY. If you truly love Him, His concerns will be YOUR concerns. PS- I am always interested in hearing any person’s interpretation of these Bible verses, & will gladly stand corrected as they conform to scripture. Remember to PRAY over this subject first! There are two different sets of glasses here. Your view seems to be of a Jesus did most but we need to finish what He started so we have nothing to fear and the other glasses say Jesus did it all we only need to accept it and live as we should out of gratitude without any fear of being left behind to suffer for our less than awesomeness. I do not have the energy for a scripture by scripture debate but I would like to put this out there for pondering. Are we the church a spotless bride because of our behavior of because of the righteousness of the saints? Where does the righteousness of the saints come from- their behavior or the imputed righteousness of Christ? p.s. as for the work out your salvation verse it is simply old English for study it out, aka make sure your are believing the correct things. I loved this post Paul Ellis, and I have to agree with Colleen G. Paul H Kirk sees this differently, the old teaching about us needing to work out our own worth. Jesus paid it all, did it all and we are covered by His blood sacrifice. When we accept Christ, God only sees Him when he looks at us. Therefore there is nothing we can do to merit His Grace and Favor, except to spend it back on others in response to His love and grace. You can’t receive the infilling if you don’t empty the glass. 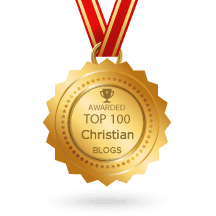 Paul, great post on the Parable of the Talents! Coleen G, and Susan K. Stowe, I love your responses to Paul H. Kirk. Jesus either did it all or He didn’t. Can’t have it both ways. I believe Paul’s dilemma is the result of the mixture message. We were all there at one time or another. May the Spirit of the Living God enlighten him as he continues in the Word. let me start with YOU ARE A CHURCH. a part of it and Christ is the head. In a sense, you already got the “prize”. ‘pray that you will be counted worthy to escape these things’ – using the lens of grace… Jesus is worthy. Jesus has overcome. and we are in Him(those who believe and receive Him) the only question here is did you believe that Jesus made that way for you? on the archives, check Paul Ellis explanation about working out your salvation with fear and trembling. if your heart is tender – no my heart is not tender. infact it is full of garbage. i tried to fix it. i tried to make it tender to no avail. Its just keeps getting worst. Then heres the idea of Gods grace. He gave me a new heart. Grace is indeed true, – use (.) period. Grace is indeed true. period. no buts. because going to heaven is by grace through faith. The old testament under old covenant have it the hard way. We are under grace now. Thats the most difficult part… to believe that its all done. You just have to respond by faith what God has freely given by grace. Grace is too good and it is true. I think it’s possible many have misinterpreted this parable because Jesus spoke this parable to illustrate a warning to Israel – He knew they were rejecting Him. Notice the “virgins” left are NOT the bride. As believers are. This is to reach the Jews during the dark times (midnight) when they realize…The Christians were right. After the rapture. I hope this helps your love for the Savior. It’s amazing that although one may reject Jesus’ offer, He never rejects anyone. Remember how the Father never left the self-righteous son, although he rejected his father’s offer to join in the party (in the parable of the two sons). All I can say is that may God abundantly bless you! Thank you for showing me the good news of our Lord and clearing the religious KPI’s that we “supposedly expected to meet”This kind of stuff makes you fall I love with the Lord and hunger for His Word! How do you know from just reading this parable that the context is grace? I have never heard this parable explained this way before. The parable itself tells us. The master GIVES the servants a golden opportunity to escape servitude and share in his happiness. Also the context tells us, for Jesus is telling us what the kingdom of heaven is like, and the King of that kingdom sits on a throne of grace. Paul, But does it mean grace could be 5, 2 or 1 ?? How many Grace do we receive?? Is it different one to another?? Amen Paul. I truly believe the only judgement we will face is how we have yielded to His overwhelming Love and acceptance. What a joy to know that we are already known and accepted in Him. The great battle in our faith walk is not to believe harder, but to rest ever more deeply in His goodness… and then from that position, we can usher others into the same place. this is awesome…God bless and increase you in the knowledge of His Grace Paul. You are such a blessing . I love the exposition of the parable here Paul. I am blessed. I also remember the one from Simon Yap’s blog, the very first post I read from him and got me to subscribe in his blog. Thank you. 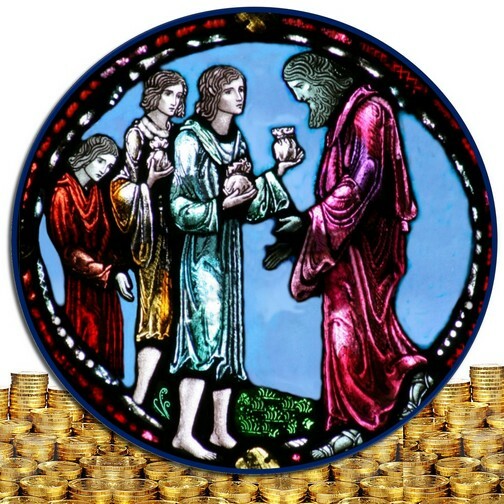 This parable has also been used to compel people to tithe in the sense that God only entusts more finances to those who give back to him what was not really theirs to begin with – our talents and skills that we use in employment or business. It’s good to understand afresh that ours is very good Father who doesn’t play “prove your love and worth” games. What a wonderful message, thank you! Since reading GITW, I’m am blessed daily, by just seeing the world in a Gospel of Grace way! Ever single message I’ve heard that portrays our ABBA Father harshly, now just falls to the ground like dust! Again, thank you! Very interesting post and comments…loved your comment Gilly!I still like to ask more questions…In the parable,the first 2 servants presented the master with MORE than he left them with,and the last with the SAME.The first 2 were commended while the last one was rebuked. It seems the master in the parable wanted INCREASE of his stuff. I wonder what the masters response would have been if the last servant had used all his talent to buy food for the poor and and had NOTHING to show when he returned? Let me try to respond to Daryl, looking at that scripture with the glass of grace I believe the master would have been pleased because he used the gift to meet the needs of the needy and that would have brought addition to the master. Remember we were not told the type of investments the other two were engaged in. Paul thanks for the exposition. Thanks Remi. The more I think about it,I believe you are right.Meeting immediate needs is a greater investment than increasing whatever amount of money we may have been blessed with. In the parable it says that the master gave to each man according to his ability.I think we often wrongfully assume that the 1 talent man had the least ability.I believe he may have had the most.The more money you have,the easier it is to make it grow because of compound interest and the added opportunities it affords. The 1 talent man had an ungrateful view towards his master,and even though he had the most ability,his poor attitude made him a failure. Brother Ellis I have a question why do people’s say that a pastor have blood on their head when a saint backsliding. I love his Grace, I can’t get enough of it! I am simply overflowing with joy when I hear the message of Grace, and when we digest it it, it spills out of us on to the people around us. When you get grace, it creates an agitation to share it. the obedience, the joy, the good deeds, the interest, the fruit is all secondary because all of these things just are a product of Grace. If you put your money into a bank you don’t have to do anything the interest simply accumulates!!! As is if you put your trust in Jesus the fruit just forms. It’s all about him it’s all about Jesus!!!!! All we have to do is say Thank you. What an incredible God we have to give us this Jesus!!! And yes work was required,required…. Jesus finished work. Love it! Wow, great revelation…. 100% right…. it gives life and light…. Thanks……. If you notice the Master repeats back what the servant said to him except the Lord being a “Hard Man”. “Then the man who had received one bag of gold came. ‘Master,’ he said, ‘I knew that you are a hard man, harvesting where you have not sown and gathering where you have not scattered seed. Paul, do you believe the outer darkness is a reference to hell? I believe it is, because there is weeping and gnashing of teeth. I think the gold is our personal measure of faith that God has given us, and we all have God given faith from birth. Every man has free will to exercise their faith for salvation and rewards. Salvation is the first step and requires no work. I see it as the man should have at least placed his soul on deposit for his heavenly gift by placing his faith in Christ, and he should have even gone further in his faith for rewards in Heaven. However, he was not only lazy but a non believer as well. thank u so much am blessed. Thank you. I’ve been struggling to understand this parable for sometime and your explanation has really helped. Nice explanation Paul. The only issue that i need some more explanation on- is that the third servant did not reject the gold. He received it but did not do anything with it. Doesn’t it ring a bell about those who believe that all we have to do to enter the kingdom is to believe and receive? But we cannot get all the intended meanings of Christ from one parable that is why he followed it up with the parable of the sheep and goats. Don’t you think that Christ meant that after we have received the grace to live above sin, we should invest that grace in some of the acts for which the sheep who will be on the left of Jesus were commended for- such as giving food to the hungry, giving clothing to the naked? You see, under the grace, we know that it is Christ who lives in us to do good deeds- our duty is to die and let Christ live. We don’t have to do anything per se- just allow the Spirit to do his work in us. How do we reconcile your interpretation of the parable of talents with the parable of the sheep and goats? Third servant and the goats are people who are fundamentally self-righteous. They don’t receive the gift of grace (in one parable) or Jesus (in the other) because they have no need – or so they think. By their actions they proclaim they want nothing to do with Jesus and he replies, so be it.